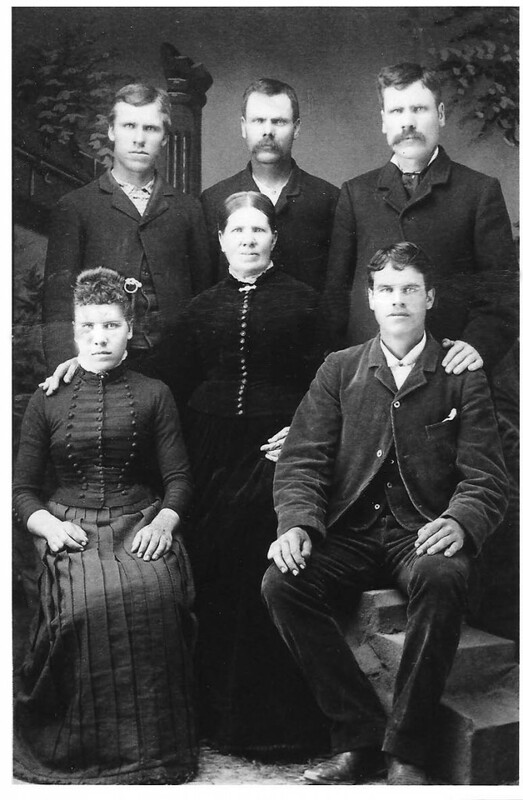 Susannah Jacaway, Wife of George Black, born 18 Sep 1833 in Clay, Missouri, United States; died 9 Jun 1909 in Antimony, Garfield, Utah, United States; buried 11 Jun 1909 in Antimony, Garfield, Utah, United States, daughter of Fields Bruce Jacaway and Mary Ann Jones. She married George Black on 6 Apr 1850 in Salt Lake City, Salt Lake, Utah. George Black was born 6 May 1823 in Lisburn, Antrim, Ireland; died 13 Nov 1872 in Kanosh, Millard, Utah, United States; buried in Kanosh, Millard, Utah, United States, son of William Young Black and Jane Johnston. Married David Leonard Savage on 9 Feb 1878 in Saint George, Washington, Utah, United States David Leonard Savage, born 25 Jul 1812 in Leeds, Johnstown, Ontario, Canada; died 26 Apr 1886 in Snowflake, Navajo, Arizona, United States; buried 26 Apr 1886 in Snowflake, Navajo, Arizona, United States, son of Roger Savage and Phoebe Stevens. 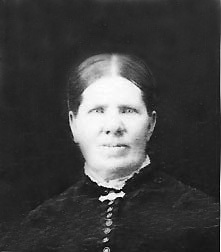 Mary Ann Black, born 1851 in Manti, Sanpete, Utah, United States; died 1851. George Black, born 23 May 1854 in Fillmore, Millard, Utah, United States; died 1 Nov 1940 in Antimony, Garfield, Utah, United States; buried 1 Nov 1940 in Antimony, Garfield, Utah, United States. He married on 18 Feb 1877 in Saint George, Washington, Utah, United States Esther Clarinda King, born 24 Sep 1858 in Fillmore, Millard, Utah, United States; died 10 Apr 1923 in Antimony, Garfield, Utah, United States; buried 14 Apr 1923 in Antimony, Garfield, Utah, United States, daughter of Culbert Rice King and Eliza Esther McCullough. Susan Black, born 26 Jan 1858 in Fillmore, Millard, Utah, United States; died 22 Sep 1874 in Fillmore, Millard, Utah, United States; buried 24 Sep 1874 in Fillmore, Millard, Utah, United States. She married Est 1879 in Weber, Utah, United States A Woolsey, born 23 Jul 1858 in Weber, Utah, United States. William Black, born 28 Nov 1863 in Kanosh, Millard, Utah, United States; died 10 Feb 1937 in Richfield, Sevier, Utah, United States; buried 14 Feb 1937 in Antimony, Garfield, Utah, United States. He married in Jul 1887 in Antimony, Garfield, Utah, United States Matilda Emily King, born 10 Apr 1863 in Fillmore, Millard, Utah, United States; died 8 Jun 1949 in Idaho Falls, Bonneville, Idaho, United States; buried 12 Jun 1949 in Antimony, Garfield, Utah, United States, daughter of Culbert Rice King and Eliza Esther McCullough. John Franklin Black, born 19 Jan 1867 in Kanosh, Millard, Utah, United States; died 12 Jul 1913 in Cowley, Big Horn, Wyoming, United States. He married on 1 Jan 1896 in Antimony, Garfield, Utah, United States Eliza Rosetta King, born 3 Oct 1875 in Fillmore, Millard, Utah, United States; died 9 Dec 1955 in Lovell, Big Horn, Wyoming, United States; buried 12 Dec 1955 in Cowley, Big Horn, Wyoming, United States, daughter of Volney Emery King and Eliza Rosetta Syrett. Nephi James Black, born 3 Feb 1871 in Kanosh, Millard, Utah, United States; died 18 Mar 1959 in Las Vegas, Clark, Nevada, United States; buried 20 Mar 1959 in Las Vegas, Clark, Nevada, United States. He married (1) on 9 May 1892 in Lehi, Maricopa, Arizona, United States, divorced Phoebe Lorraine Harrop, born 3 Aug 1873 in Parowan, Iron, Utah, United States; died 19 Mar 1962 in Phoenix, Maricopa, Arizona, United States; buried Phoenix, Arizona in Phoenix, Maricopa, Arizona, United States, daughter of Henry Alfred Harrop and Sarah Benson; (2) on 22 Oct 1952 in Mesa, Maricopa, Arizona, United States, divorced Emma Gertrude Naylor. Melissa Velma Black, born 12 May 1872 in Kanosh, Millard, Utah, United States; died 11 May 1931 in Lamar, Prowers, Colorado, United States. She married on 8 Jan 1904 Wilber Omen Harvey, born 12 Mar 1872 in Indianapolis, Marion, Indiana, United States; died 31 Aug 1942 in Prowers, Colorado, United States; buried 3 Sep 1942 in Prowers, Colorado, United States.